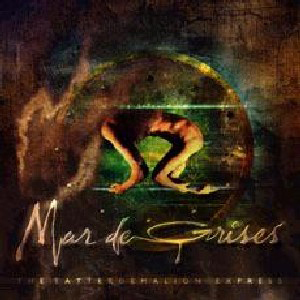 Hailing from Chile, MAR DE GRISES (sea of grays) was formed in between August 2000 and September 2001 by Rodrigo Morris (guitar), Rodrigo Gálvez (bass), Alejrando Arce (drums), Sergio Alvarez (guitar) and Marcelo Rodriguez (vocals, keyboard). Their music can be categorized as a blend of doom/death metal with progressive metal, post rock and symphonic music. In 2002 the band released a demo and immediately after its release the band was signed to Firebox Records. Thereafter at the beginning of 2004 the band released its first full length entitled "The Tatterdemalion Express" which received considerable acclaim. In 2005 the band travelled through France, Germany, Holland, Spain, Belgium and Italy giving exclusive concerts. Later in 2006 Marcelo Rodriguez leaves the band it's replaced by Juan Escobar (vocals, keyboard). In 2008, four years after their debut was released, the band released their second full length entitled "Draining the Waterheart". Sell your MAR DE GRISES items on eBay ! 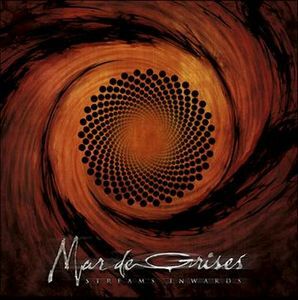 This record of the Chilean progressive doom metal band "Mar de Grises" is quite challenging and everything but easy to digest. It kicks straight off with melancholic or even depressive melodies that develop a very dark atmosphere in the uneasy and somewhat completely inappropriated opener "Starmaker" that immediately hits you like a comet. Heavy doom metal riffs and controlled death metal vocals meet more progressive passages with cold electronic or robotic sounds and whsipered or spoken word passages. In some tracks, one can also listen to clean vocals reminding me of those in the German gothic metal band Crematory or choirs that give the album a more epic and cinematic touch as in "A Sea of Dead Comets" that reminds me of stuff like In Flames' "The Chosen Pessimist" concerning the negative atmosphere and the sluggish development. In general, the album gets a little bit softer and more progressive towards the end while the beginning is quite misanthropic and raw at some points. The band is surely sophisticated and this record needs many spins before you might get a connection to it. The song writing is unpredictable and appears sometimes even directionless or boring. The record contains no hooks, gripping choruses or truly outstanding melodies that will stay on your mind for a while. As a highlight, I would probably cite the epic and diversified "Knotted Delirium" that could also please to fans of bands like Opeth as it mixes slow and sometimes even calm progressive doom metal passages with heavier parts by creating a whirlwind of emotions. For those who like heavier stuff, the surprisingly vivid "The Bell and the Solar Gust" is probably the most memorable song on the album and develops a drowning but at the same time almost dynamical sound. Another outstanding track is without a doubt the bonus song "Aphelion Aura" which is also the longest song on the album. The track is even more minimalistic and probably the weirdest piece on here. Instead of the usual vocalist, it features a few clean and grounded female vocals that are underlayed by spacey lounge sounds and maybe something like modern jazz elements. The song is completely electronic and features no guitar or bass sounds at all. The song rather reminds me of some more introspective stuff by Adele but is three times longer than those songs wthout any logical reason. As you might guess, this band doesn't care about being popular in the metal scene or having an own style and don't stop their strange experiments. In the end, it's very hard to get a connection to this band. Apart of those who are really open-minded and like to experiment new sounds and styles and fans of progressive doom metal, I can't imagine that many people might like this. 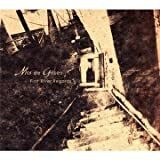 While I recognize the band's courageous approaches and must admit that they have a couple of good ideas and a big talent when it comes to develop a melancholic atmosphere which is the leitfaden of this release, I can't really say that I would listen to this kind of music very often. It's music for special hours and quite hard to digest. In the end, it's tough to chose a rating for this band but as the record certainly has its moments, my final verdict remains quite positive. 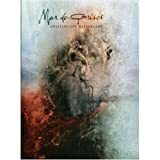 This release by Chilean metal act Mar de Grises is a bit difficult to categorize, but I guess it can be described as a melancholic blend of doom and gothic metal with harsh death metal vocals. All the tracks on this album are quit emelodic, containing elements that remind me a bit of "Mandylion"-era Gathering meets "Draconian Times"-era Paradise Lost, while other parts are more doom-metal like along the lines 2000s My Dying Bride. There is also a general melancholic feel that reminds me of the likes of Danish alt. rock / prog rock / art pop band Mew. All in all, "Streams Inwards" is a haunting, but inspiring journey into the more melancholic aspects of gothic metal and doom metal, and I think that it's a quite interesting listen, which does require the listener to pay attention though. 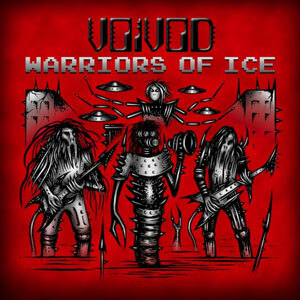 I think that it will appeal to fans of doom metal and gothic metal. A Chilean doom metal band that has since risen to underground popularity for their epic and melancholic grandeur, Mar De Grises' latest offering is an anticipated dive into the proclaimed 'end of the world.' On top of their otherwise typical foray into the death/doom crossover genre, the band throws a amount of experimentation and progressive nature into their music very uncharacteristic of the style. 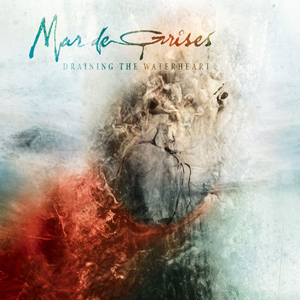 With that being said, the 2010 album 'Streams Inwards' does go into further experimental depth than any of their previous work and the strength and emotive power of Mar De Grises is here to an extent, but it doesn't seem to quite reach the greatness and consistency of their previous work. Anyone unfamiliar with this style of doom metal will be in for a real emotional kick in the groin. 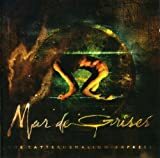 What Mar De Grises does very well (along with many of the other strong acts in the genre) is create a deep sense of beautiful sadness and despair with their music. While 'Streams Inwards' certainly breaks out of this emotional uniform more than the other albums, there are still parts where the listener gets the sense of overwhelming melancholy and defines many works of doom metal. As I've said however, 'Streams Inwards' does show quite a wider emotional dimension than much other doom metal. The moments of optimism however, are lodged between other sections of sadness. The chorus of the most memorable track here 'Shining Human Skin' for example, begins by leading the listener into the misconception that the music will stick to the melancholic norm, but the chorus section is finally resolved by a major chord, giving a shard of hope amidst what would otherwise be a purely sorrowful journey. 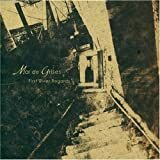 In terms of the experimentation Mar De Grises does with this album, there are some electronica sections here that are interspersed throughout the album. The most common of these electronic motifs takes the form of a very scratchy and dissonant sort of noise, which more often than not, finds it's way into sections of music that would have been probably quite a bit better off without the interference. However, 'Knotted Delirium' has a slowly building and unsettling section that makes good use of studio effects and haunting electronic ambiance. 'Streams Inwards' may not be as good as those expecting another excellent album were hoping for, but it stands it's ground for the most part as being a good album, with a handful of excellent songs and moments. 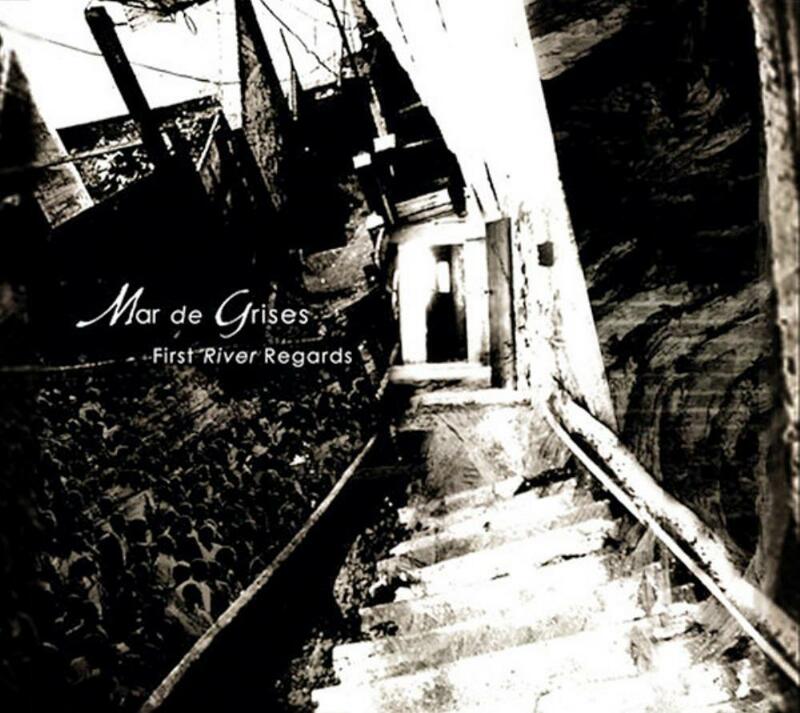 With that in mind, the music of Mar De Grises is recommended to any fan of melancholic metal that wants a doomy soundtrack to the winter months. The winter is crawling upon us. It's getting cold and dark outside. You might have opened up a bottle of red to enjoy this cold night but something is missing. The solution to this problem is simply Mar de Grises. This Chilean progressive doom metal act is a joy to behold. This is one of the most original piece of music I have heard the last few years. They blend funeral doom and progressive music in a very tasteful way. First of all it is an album that needs time and full attention from the listeners. The music is complex and dark. The lyrics are both in English and Spanish. Juan Escobar's vocals screaming vocals is not the stereotypical death metal vocals. His vocals represent the music in an excellent way. There is a sense of meaning in the deep vocals. 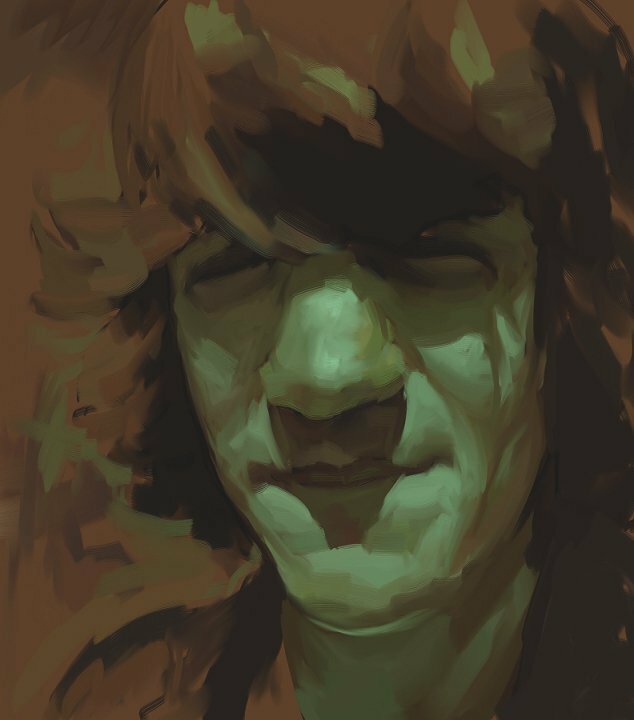 The music often develops into psychedelic passages which are arranged in a brilliant way. It sets the listener deep into the message they are trying send to the listener. In these passages the clean vocals also comes forward and they suits the music very well too. Their music can range from beautiful, dark and also hopeful. There are touches of brilliance on this album without a shadow of doubt.